As of Quform 1.4.11 it’s possible to white label the plugin, which means changing the Quform name on the plugin pages and on the WordPress menu. 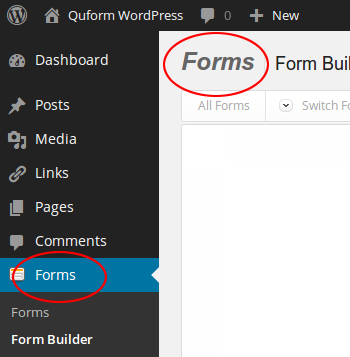 To change the visible plugin name from Quform to Forms add the following code to the wp-content/themes/YOUR_THEME/functions.php file (or create a plugin for it). You can also have the name on the menu something different from the page titles, using this separate hook.